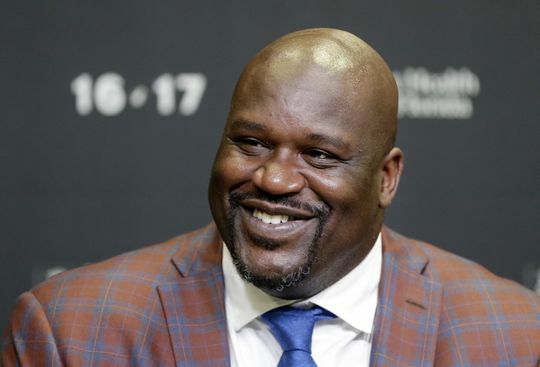 The Big Fella, Shaquille O’Neal said he wants to run for sheriff in a Georgia county. Shaquille O’Neal, getting ready for his next gig as “Sheriff SHAQ”. Shaquille O’Neal: I went to the regular academy. I got Maced, had to go through the gas house, got shot with the Taser twice. I did everything they did. So they know that I am serious and I will be sheriff somewhere in some city in some county. I have full powers of arrest and, you know, when I am at work, I do police officer duties. Right now I am working in Internet crimes against children. I work in a special victims’ unit. I teach children how not to be captured by this guy. He said he has a plan for how to close the gap between police and citizens. O’Neal has long expressed interest in law enforcement. He has been a deputy marshal in Lafayette, La. and a reserve police officer in Florida. And in December 2016, O’Neal was sworn in as a sheriff’s deputy in Clayton County, Ga. O’Neal also noted that growing up, two of his uncles were police officers. “And they were well-respected in the neighborhood and the disconnect has gotten to be out of control and I want to be one of the guys that closes it,” O’Neal said.